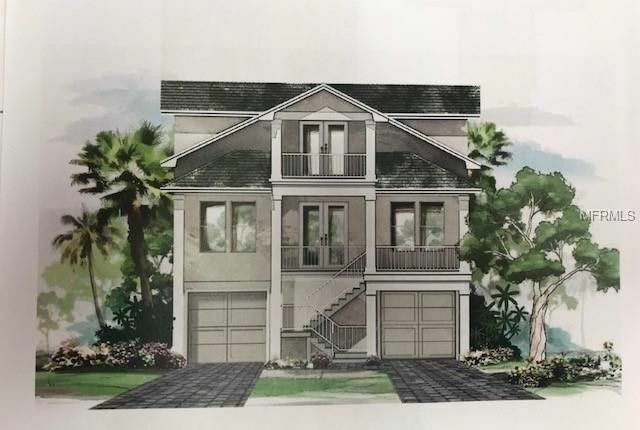 UNDER CONSTRUCTION & BRAND NEW FABULOUS KEY WEST CUSTOM ARCHITECTURE!!! THIS 4 BEDROOM, 2.5 BATH, OVERSIZED 2 CAR GARAGE HAS IT ALL...WITH JUST OVER 2, 000 SQFT. OF LIVING SPACE., YOU'LL BE "LIVING THE DREAM" IN THE QUAINT COMMUNITY OF CRYSTAL BEACH. THIS HOME FEATURES 10 FOOT HIGH CEILINGS, TILE IN ALL THE WET AREAS, IMPACT AND LOW-E WINDOWS AND DOORS, 42 PLYWOOD CONSTRUCTION CABINETS IN KITCHEN., W/ QUARTZ COUNTERTOPS, STAINLESS STEEL APPLIANCES, UPGRADED BASE TRIM THROUGHOUT, SECURITY ALARM SYSTEM, 2-10 HOME BUYERS WARRANTY INCLUDED, ALL BATHROOMS HAVE GRANITE, KOHLER SINKS AND MOEN FAUCETS, 30 YEAR DIMENSIONAL SHINGLES AND R38 BLOWN INSULATION IN THE CEILINGS, COMPLETE W/ POOL AND SPILL OVER SPA. QUAINT "CRYSTAL BEACH" IS A GOLF CART COMMUNITY, W/ NEIGHBORHOOD PARK, COMMUNITY CENTER AND FISHING PIER. ENJOY THE "PINELLAS TRAIL", WORLD CLASS GOLFING, GORGEOUS BEACHES, SHOPPING, MANY RESTAURANTS AND WALL SPRINGS PARK!! OUTSTANDING SCHOOLS W/ OZONA ELEMENTARY, PALM HARBOR MIDDLE AND SOUGHT AFTER PALM HARBOR UNIVERSITY HIGH SCHOOL!!! THIS GORGEOUS NEW HOME IS BEING BUILT BY AWARD WINNING "SOUTHERN IMAGE HOMES"!!! WALK TO GULF OF MEXICO AND ENJOY THE SPECTACULAR SUNSETS. Directions: ALT 19 NORTH TO LEFT ON CRYSTAL BEACH AVE., TURN RIGHT ON HANBY AND LEFT ON ONTARIO HOME IS MIDWAY ON LEFT.